If you submit any information to Mingtiandi to be published on the Site through the publishing tools, including but not limited to Company Profile, Property Catalog, Industrial Zone Profile and any discussion forum, then you are deemed to have given consent to the publication of such information (“Publishing Information”). In addition, we gather aggregate statistical information about our Site and Users, such as IP addresses, browser software, operating system, pages viewed, number of sessions, unique visitors and so forth. (“Statistical Information”). We use your Collected Information to improve our marketing and promotional efforts, to statistically analyze site usage, to improve our content and product offerings and to customize our Site’s content, layout and service specifically for you. We may use your Collected Information to service your Account with us, including but not limited to investigating problems, resolving disputes and enforcing agreements with us. We do not sell, rent, trade or exchange any personally-identifying information of our Users. We may share certain aggregate information based on analysis of Collected Information with our partners, customers, advertisers or potential Users. We may use your Collected Information to execute marketing campaigns, promotions or advertising messages on behalf of third parties; however, in these circumstances, your Collected Information will not be disclosed to such third parties unless you respond to the marketing, promotion or advertising message. We may use your Registration Information to provide services that you request or to contact you regarding additional services about which Mingtiandi determines that you might be interested. Specifically, we may use your email address, mailing address, phone number or fax number to contact you regarding notices, surveys, product alerts, new service or product offerings and communications relevant to your use of our Site. We may generate reports and analysis based on the Registration Information for internal analysis, monitoring and marketing decisions. All of your Publishing Information will be publicly available on the Site and therefore accessible by any internet user. Any Publishing Information that you disclose to Mingtiandi becomes public information and you relinquish any proprietary rights (including but not limited to the rights of confidentiality and copyrights) in such information. You should exercise caution when deciding to include personal or proprietary information in the Publishing Information that you submit to us. Mingtiandi.com will share your Payment Information with banks or vendors relevant to the transaction in order to enable transactions to be completed. In addition, Mingtiandi may use Payment Information to determine your credit-worthiness and, in the process of such determination, Mingtiandi may make such Payment Information available to banks or credit agencies. Any credit card information that you provide through the Site is directly submitted to a payment server of the credit card processing bank. 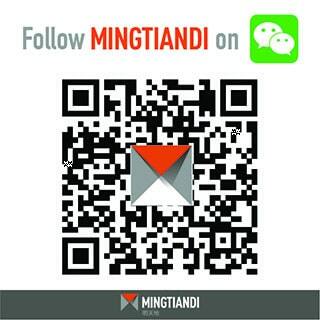 Mingtiandi.com does not maintain electronic or physical copies of your credit card information. While Mingtiandi.com has in place up-to-date technology and internal procedures to guard your Payment Information against intruders, there is no guarantee that such technology or procedure can eliminate all of the risks of theft, loss or mis-use. Mingtiandi shall not be liable to you or any other person for any damages that might result from unauthorized use, publication, disclosure or any other mis-use of Payment Information, including credit card information. We employ commercially reasonable security methods to prevent unauthorized access, maintain data accuracy and ensure correct use of information. As a Registered User, your Registration Information, Publishing Information and Payment Information (if any) can be viewed and edited through your Account which is protected by Password. We recommend that you do not divulge your Password to anyone. Our personnel will never ask you for your Password in an unsolicited phone call or in an unsolicited e-mail. If you share a computer with others, you should not choose to save your log-in information (e.g., User ID and Password) on the computer. Remember to sign out of your Account and close your browser window when you have finished your session. No data transmission over the Internet or any wireless network can be guaranteed to be perfectly secured. As a result, while we try to protect your information, no web site or company, including ourselves, can absolutely ensure or guarantee the security of any information you transmit to us and you do so at your own risk. You can access, view and edit your Registration Information, Publishing Information and Payment Information (if any) through your Account with Mingtiandi. To update or correct such information, please click here.